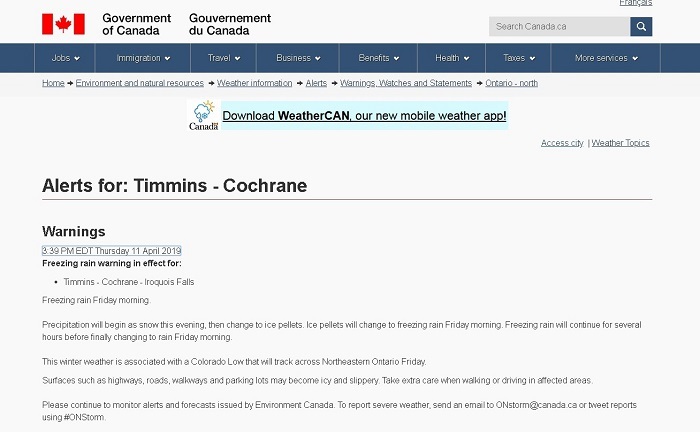 Timmins, Cochrane and Iroquois Falls are under a freezing rain warning issued late Thursday afternoon by Environment Canada. 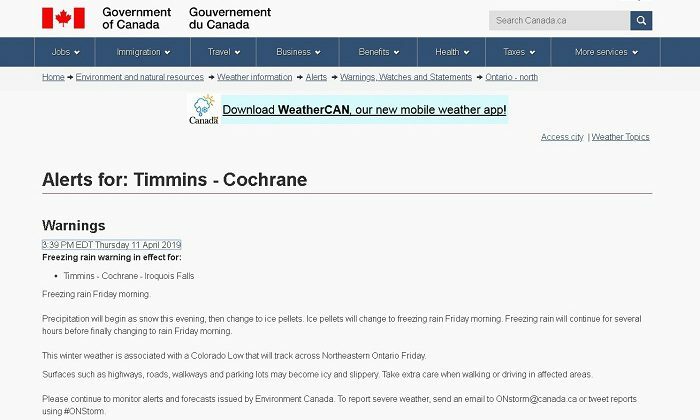 It says the precipitation will begin as snow in the evening, then change to ice pellets and eventually freezing rain Friday morning. That’s expected to persist for several hours before changing to rain as it warms up in the morning. The expected overnight low is -3C, rising to a Friday daytime high of +6C. 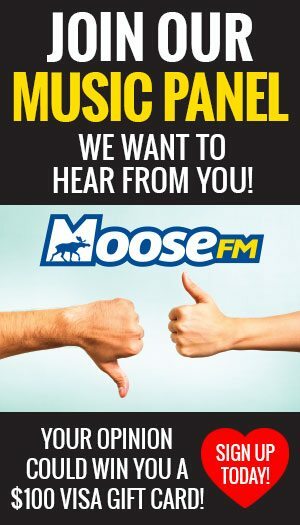 Check for morning conditions and whether school buses are cancelled on this website, and by listening to Moose FM.